Safe, effective, and individualized healthcare for you and your family. 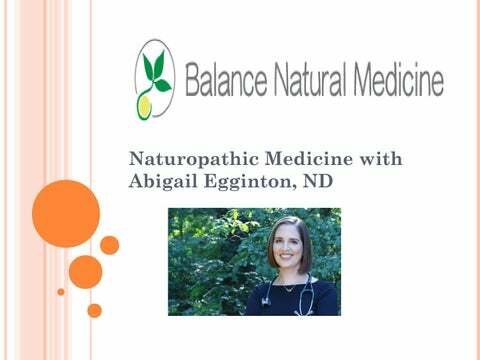 BALANCE NATURAL MEDICINE â&#x20AC;&#x201C; NATUROPATHIC CARE Naturopathic care with Dr. Abby Egginton, ND. Safe, effective, individualized healthcare for you & your family in Pleasantville, NY and Ridgefield, CT.
â&#x20AC;˘ Sick Day Visits : While most appointments with Dr. Egginton are intentionally long enough to address all aspects of your health, this approach is obviously not ideal when you are not feeling well. Dr. Egginton therefore offers shorter visits for when you or your child are acutely unwell but would still like a Naturopathic approach to feeling better. MEDICINE/PEDIATRICS Dr. Egginton enjoys seeing patients of all ages. With her pediatric patients, she makes time to get to know each child and to build trust. In her Connecticut office, she can offer well child exams and sports physicals. 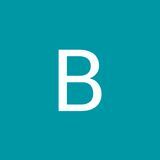 Often she is providing adjunctive holistic and/or homeopathic care and introducing families to natural and naturopathic treatment options. WOMENâ&#x20AC;&#x2122;S HEALTH : Dr. Egginton enjoys working with women of all ages to optimize their health by taking a preventive approach and by understanding their individual hormone cycles. Naturopathic medicine is effective for a range of gynecological related conditions including PMS, irregular menses, cervical dysplasia, perimenopause, bone health, depression, anxiety, low libido, headaches and migraines, and menopausal symptoms. ONCOLOGY : Dr. Eggintonâ&#x20AC;&#x2122;s residency experience working in the cancer center of a university community hospital developed her expertise in all types of cancer and how best to support individuals being treated for cancer. Naturopathic medicine can help lessen side effects and support your health and vitality throughout your experience with cancer. Dr. Eggintonâ&#x20AC;&#x2122;s nutritional advice and intimate knowledge of various cancer treatments help those dealing with cancer to feel more informed and supported throughout treatment and beyond, helping to reduce risk of recurrence.